When you invest in a Porsche, you’re investing in a finely crafted sports car that’s designed for optimal performance. That’s why it’s important to make sure it’s getting the correct maintenance, including a proper oil filter replacement. No matter how high-end the vehicle, a clean, factory-original oil filter is a necessity. Our Porsche Certified Technicians deliver qualified oil and oil filter service – and so much more! 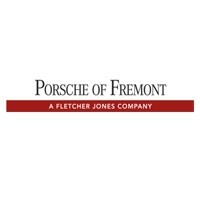 Learn all about the importance of this service provided to you by the trusted service technicians at Porsche Fremont. During an oil change, it’s important that not only is the oil drained and refilled with high-performance oil, but the oil filter must be replaced as well. Changing the oil filter increases the longevity of your engine’s life, as well as efficiency. The oil filter serves to remove contaminants from the vehicle’s engine, and leaving an old oil filter can mean reducing the quality of fresh oil right off the bat. It’s important that you have this done each and every time the oil is changed – which is why bringing your vehicle to a trusted, fully certified service technician is vital. At Porsche Fremont, we understand how important this service is to your engine’s life and we’ll make sure your oil filter replacement is done with every routine oil maintenance appointment. Porsche recommends that this service be completed every 10,000 miles, or once a year at the latest. In addition to having the oil changed, we’ll conduct a visual inspection of the underbody and brakes, as well as a tire inspection, per Porsche’s maintenance schedule. This is just another way we go above and beyond for our Fremont and San Jose area customers! To have your Porsche’s oil filter replaced, stop by our service center, located at 5740 Cushing Parkway in Fremont, CA. We’re a half-hour drive from Palo Alto! Our service department is open Monday-Saturday, and you can schedule an appointment in advance. We provide all scheduled maintenance and repairs to Porsche vehicles. If you have any questions, you can call us at (510) 279-7060 or contact us online.